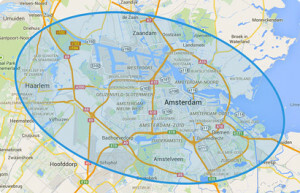 Are you living or working in Amsterdam Zuid or Amsterdam South East? Do you need a locksmith locksmith or Amsterdam Zuid Amsterdam South East? Are your locks need replacing? Are you locked out? To create less burgle your home or business? We are happy to assist you with our versatile range of services. Pipe to the Bijlmer and Holendrecht to industrial Schinkel. Why Locksmith and Locksmith Amsterdam Zuid Amsterdam South East? Are you experiencing problems with your locks? If you are living or working in Amsterdam South and Amsterdam Southeast, it’s fine if a locksmith in the area is available. A locksmith who is with you in no time and help you out. We are guaranteed within 30 minutes on location. We have 95% of the cases your door within 8 minutes. We open your door completely undamaged. We are familiar with all types of locks. Is the door closed shut while the key is on the inside? Do you have a defective lock? Is your key broken off in the lock? Has committed an (attempted) break-in? If you lose the keys to your house? Want locks keyed alike make do or do you need new locks? Want to be finished in no time your problem? 365 Locksmith can help. 1. You are in the following situation: you are experiencing problems with your lock. It may be that you will not open your lock, or that your lock is not safe anymore. 2. You search the web for Locksmith Locksmith or Amsterdam Zuid Amsterdam Southeast. You call us at: 06-19 377776 and you lay your problem out. We are available 24 hours a day. 3. Within 30 minutes is a locksmith professional with years of experience with you. 4. He begins directly with the performance of the desired work locksmith. He does this quickly, efficiently and completely undamaged. 5. Through a special audit is to verify that you are actually the owner of the house or premises. 6. You benefit from additional services. The activities do not stop at the open, repair or replacement of locks. We give you anti-burglary advice or help from a stuck door. 7. You pay a fixed low price for the work performed. You can pay cash, pins or Reposting. 8. When Locksmith 365 go, go quickly on with your daily activities. You then benefit from up to 12-month warranty on all workmanship. We do this for people who themselves locked out. In 30 minutes we are at our customers and in 8 minutes, we have a lock. There are many people who have problems with their lock. A slot that is worn and turns or stops no longer locked, we will fix it quickly and professionally. Sometimes a slot inasmuch damaged that it needs to be replaced. Replacing locks also is common in locks that have fallen fallow damaged in an (attempted) burglary. Customers can for various reasons to request new locks. For example, to make their home or business burglar safer or because their old locks are replacing. A burglary in a dwelling or business is a tedious event. We try to reassure our customers and install new secure locks and possibly additional measures, such as security fittings and burglar-proof strips. That should a break occur the next time. We often hear that customers find that they have too many different keys. Since we have a solution. We make locks keyed alike are helping to open multiple locks with a single key. We give you some reasons to contact Locksmith Amsterdam Southeast. We take our job very seriously as a locksmith. One problem with locks can occur 24 hours a day. Therefore, we are available 24 hours a day service. Quickly contact us. The fastest locksmith of Amsterdam is always present within 30 minutes. You never have to wait long. What problem you have with your conclusion, we always have the right tools are in our toolbox. We are highly skilled. That is reflected in our efficient process. There is always a friendly locksmith along which performs its work to your full satisfaction. Be 100% sure that there are no damage to the door or window frame? Then choose Locksmith Amsterdam Zuid / Locksmith Amsterdam Southeast. We handle every job neatly off. You also have 12 months warranty on all workmanship. Locksmith at 365 remains not open to closed, places and repair. We give you free advice to prevent a break-in and help you out of a jammed or squeaky door. Enjoy more of our additional service today. For over 7 years we have been active as a locksmith. We have now an expert in the field of all kinds of locks. Our portfolio consists of more than 10,000 satisfied customers. Are you the next customer that we can make happy with our locksmith work? Are you looking for a cheap locksmith? Locksmith 365 Amsterdam maintains low fixed rates and do not have any surprises. You advance notice of the price. Including travel costs and labor. Exclusive material. We use a variety of payment options. Whether our services in cash, by debit or pay by Ideal, decide for yourself. We maintain a decent value for money. Our rates include travel costs and labor plus materials. You pay by cash, debit card or bank transfer. * Do you speak any Dutch or flawed? We also speak English. 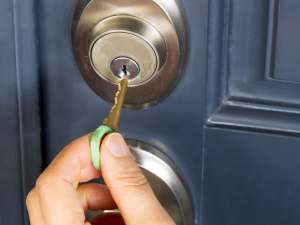 We enjoy helping our clients with all kinds of locksmith work. Are you our next satisfied customer? Our office is located in Amsterdam South. We work not only in Amsterdam South and Amsterdam Southeast, but in all places that are located in a radius of 30 km around Amsterdam. Do you need us quickly? Got a question? Contact Locksmith Amsterdam Zuid / Locksmith Amsterdam Southeast is simple. Call the following number: 06-19377776. I need you urgently. How soon can you be with me? Do you need us NOW? We are within half an hour at your doorstep. Would you prefer to make an appointment? That is also possible. Then we determine a date and time when it suits you we come. The prices of Locksmith Amsterdam Zuid / Locksmith Amsterdam South East are not much higher or lower than the prices of other locksmiths. Where do we distinguish it from other locksmiths our fair rates. Locksmith in Amsterdam Zuid / Locksmith Amsterdam South East you will never face unexpected expenses. You know, guaranteed beforehand what you are going to pay. These rates include travel costs and labor costs, but excluding materials.